Earlier this year, Capcom opened an official Capcom bar, where people can get hammered. 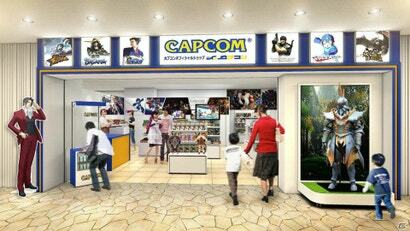 And in coming months, it's opening an official Capcom shop, where people can buy stuff. Other Japanese game companies have official shops in Japan — Konami, for example, has a Konami store in Roppongi Hills. Can you buy the full version of a game though? That's not the "True Store", sure you might be able to walk into it and purchase items, but to access the "True Store" in all it's CAPCPOM glory then you will need to pay an additional free and they will let you through the sealed door in the back! I'm more concerned about the EULA I have to agrre to before any purchase. Will it have watermarks, that's the question that needs answering!